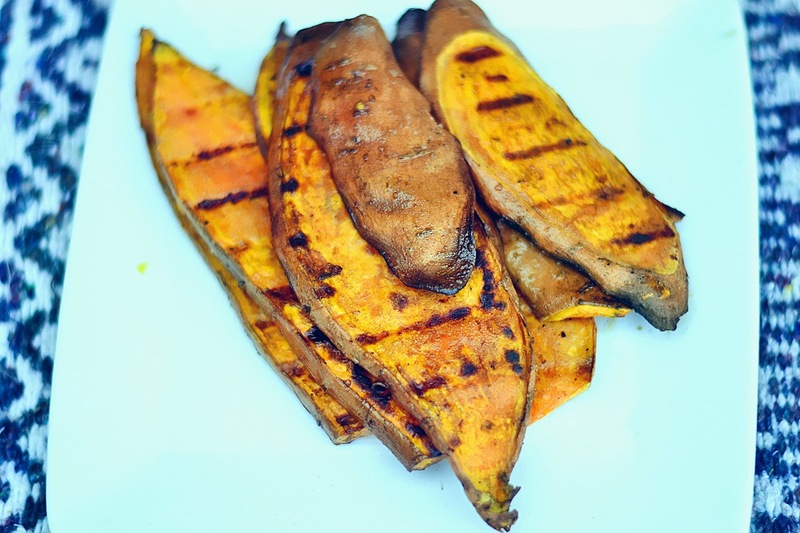 Home food Grill Your Sweet Potatoes! It has finally hit that time of summer when it's just HOT all the time and I hate cooking inside because my house gets hot. Normally this would mean I would just start prepping things for my husband to grill when he got home, but alas, his schedule has been keeping him at work later and if I don't cook, we won't eat until bedtime. This led me, in a quest to avoid cooking inside, to become friends with the grill. I've never used it before, but it's a charcoal grill, so how hard could it be? On the upside, I get to pretend to be a pyrotech for while I prep and light the coals. And then I can be the menacingly overlord while my subjects [coal] burns under my supreme powers! I hope my neighbors don't hear my laughing like a mad man. The upside to your wife learning to use the grill is the delicious grilled meats that wait for you when you arrive home. The downside? 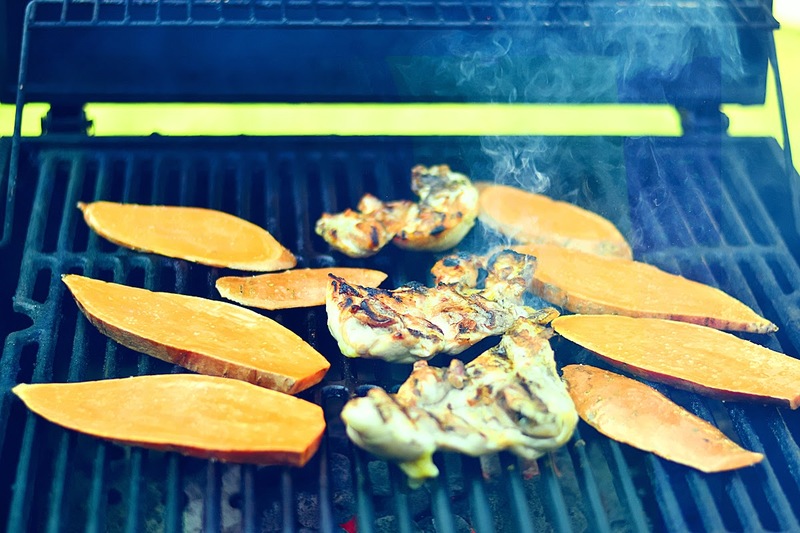 She starts grilling her favorite vegetables... and they're not in a foil bag covered in butter. 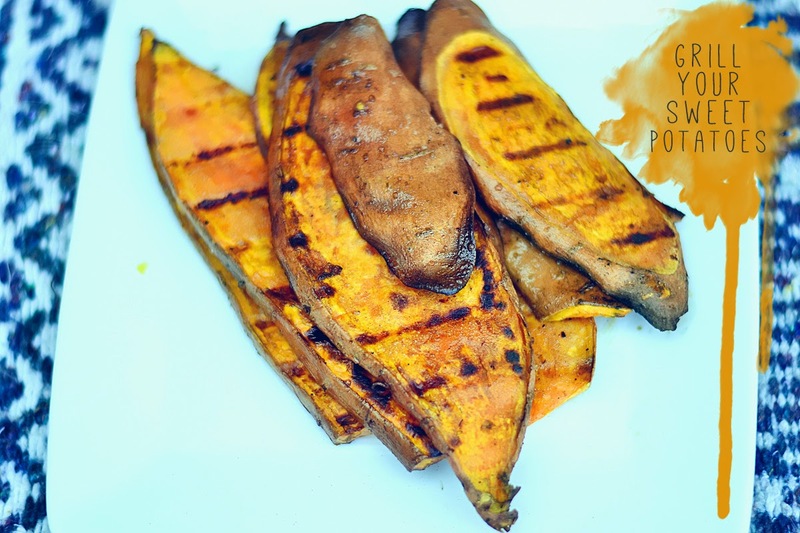 I saw my husband grimace when he first saw the sweet potatoes on the grill, I know he probably thought I was mad. But an interesting thing happened... he loved them! Actually, I thought he hated them. He ate them but he didn't say much. Until the other day, I mentioned needing to figure out something to use up the last two sweet potatoes from the farmer's market. And he told me to grill them! I mentioned that I didn't think he liked them, but I, the all knowing wife, was wrong. Don't tell him I said that. He thought they were pretty amazing all grilled up. 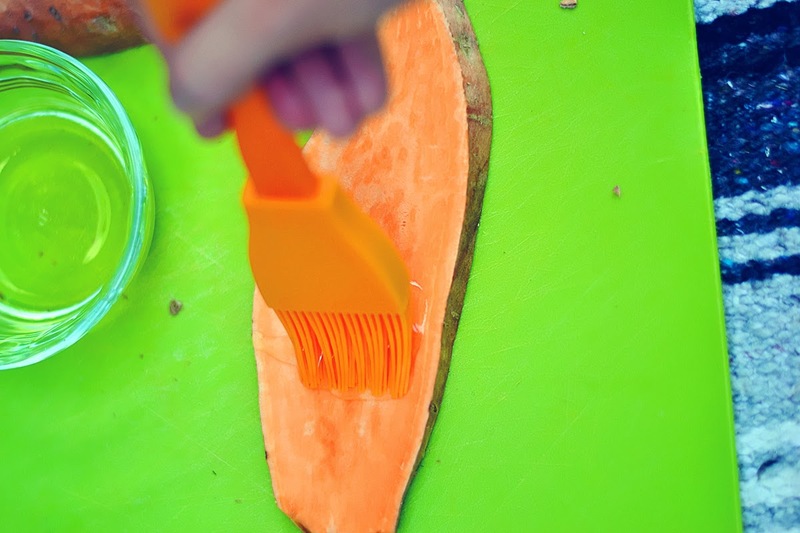 Prep your sweet potatoes by giving them a good scrub and then slicing them like this. Good enough size so that won't slip through the grates. I leave the skin on because it helps keep them together and I think it's delicious when it gets crispy. Next you're going to baste them with olive oil on both sides. If you skip the oil, they will dry out and burn. You need a little oil! And they go straight on the grill! I haven't timed them, I just watch my food, check it, flip it when needed and pull it off when it feels right. 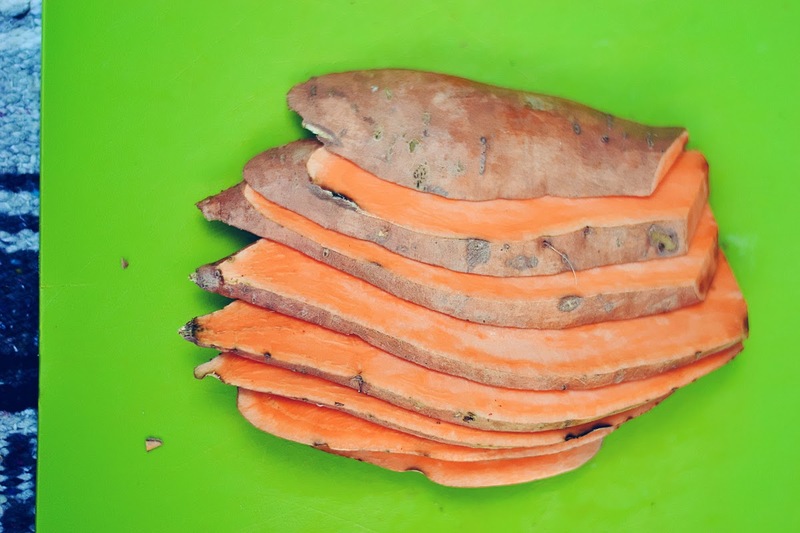 The sweet potatoes will develop a crisp skin on the outside, but they'll be soft inside. You can poke it with your finger to test or pull one off and cut into it with a fork to check. And there those beauties are, grilled and ready for consumption. Even my four year old will eat them. I just slice them up and call them "fries" and he devours them. 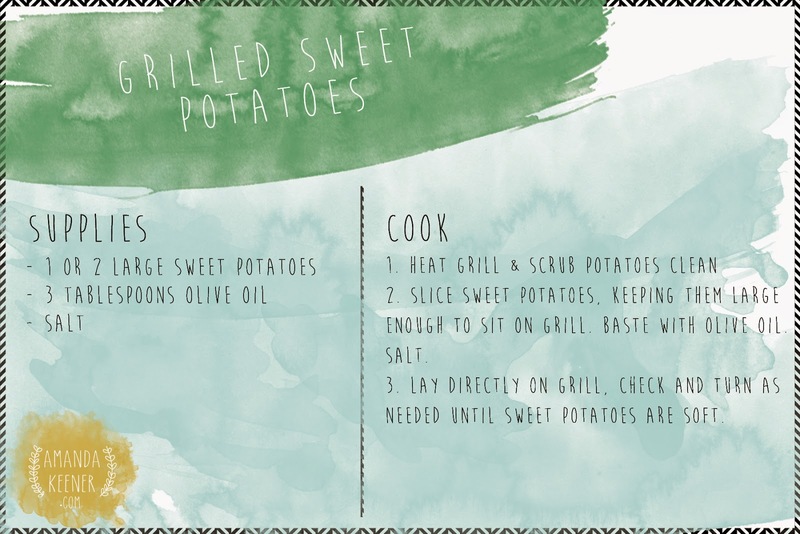 Also, this post I get to introduce recipe cards! From now on, my posts will have these handy little recipe cards so you can print and save what you love. Sure, this one it simple, but it gets a recipe card. 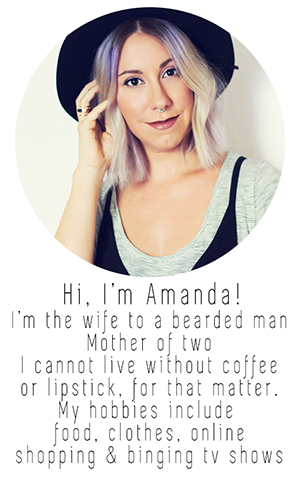 I'll have to go back and repost some of my favorites in the future so they can have their own swank card too. Once again, if I have inspired you and you give my little creation here a try, send me an email, find me on twitter or instagram.